. استمتع بالخدمات الراقية والضيافة التي لا مثيل لها بهذا الفندق في ملبورن. هذه بعض الخدمات الموجودة في هذا الفندق: واي فاي مجاني في جميع الغرف, خدمة التنظيف يوميًا, خدمة غسيل ذاتية, مكتب الاستقبال على مدار الساعة, مرافق مخصصة لذوي الاحتياجات الخاصة. لقد جهزت هذه الإقامة الفندقية بعناية فائقة لتوفر مستوى عالي من الراحة. في بعض الغرف يجد النزيل شاي مجاني, إغلاق, مواد تنظيف, مناشف, سجاد. إن حديقة هو المكان الأمثل في الفندق للاسترخاء وتفريغ طاقتك بعد نهار طويل. مهما كانت دواعي سفرك فإن Flagstaff City Inn هو خيار ممتاز لإقامتك في ملبورن. يرجى ملاحظة أن هذا العقار لا يوجد به مصعد. جميع الغرف تقع بالطابق الأول والثاني. A clean budget type hotel that I have stayed in before because it is close to the airport shuttle bus. There is a family room on the ground floor, all the rest are upstairs with no lift. No lift and a bit out of the way. But it was large. Close to Southern Cross Station, inexpensive and clean. We enjoyed a single night during our transit from Australia to The Philippines and this location is an ideal stepping stone between rail and airport. It was quiet and had a small kithenette with microwave, kettle and toaster. The bed was very comfy and the fridge and aircon worked well and quietly. A 5 minute walk to the centre of Melbourne or back to the station was pleasant. We have stayed here twice before and will always come back when necessary to overnight in Melbourne. 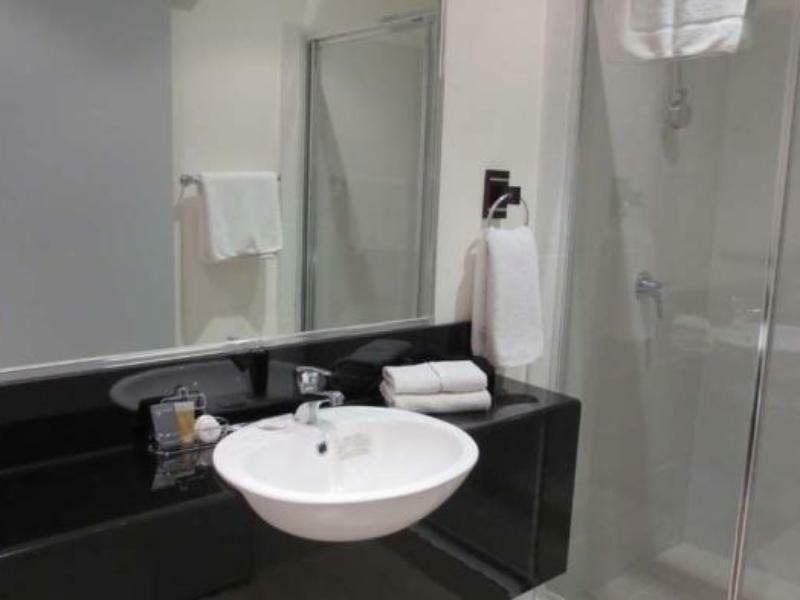 This hotel is very close to Southern Cross station with access to Airport shuttle buses. 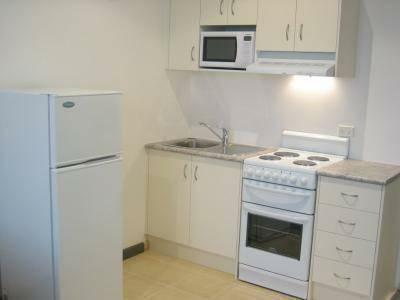 It is reasonably priced and quiet but still just a short walk into the Melbourne CBD. The rooms are not ultra modern but still clean and have good showers etc. Small kitchenette as well. Parking was a real hassle. Not many spaces underground and hardly room to move. Parked on the street but had to keep going to the metre to pay every 3 hours. Was free overnight but had to set my alarm for 7.20am to go to the street to put Money in. No sleep in for me. Not very clean but acceptable. I won’t be staying there again purely for the parking situation. The motel should pay for street parking for their guests. Close to everything! Very friendly staff and room service every day! Close to work. Not too far from CBD. Cheap. All the facility is old and the room is just in the semi-open area. most of the guest is Chinese and they are really loud in the public area. The staff is not really friendly and cannot give you any advice. just like the security rather than hotel staff. The room have windows on the door side only and feel dark in the room. A bit hard to find restaurants and shops nearby within walking distance. Only pubs nearby and not so suitable if you are travelling with family. Anyway, there is carpark at the downstairs but a bit dim. 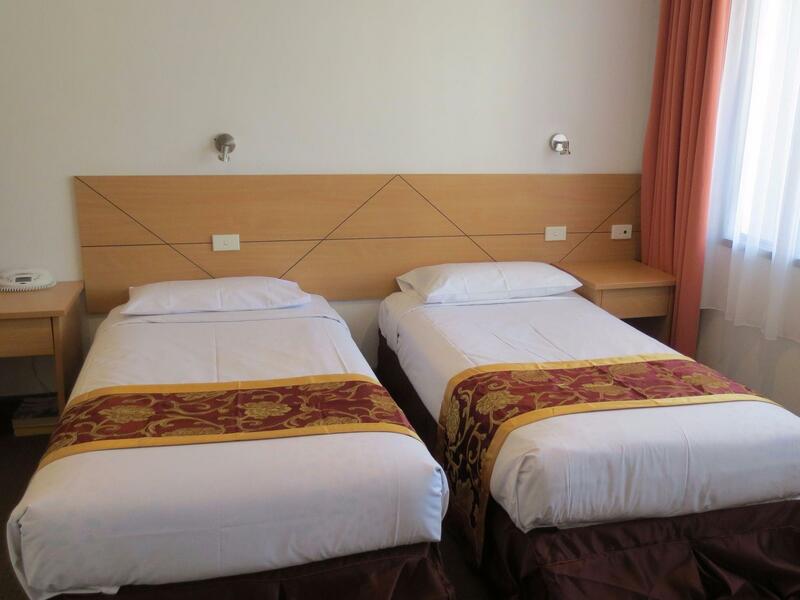 The room is just nice and clean, well-equipped with kitchenware and TV. A good place if one were to be on a tight budget. Convenient as the nearest tram station is about 6mins walk from the motel. Room was big enough to accomodate four adults. Only negative feedback would be that the pillows were too soft. Room was older but in good clean condition. Quaint cross between hotel and a motel. Kitchenette handy with microwave. Staff where friendly. 10 minute walk to Victoria markets. 5 minutes to team or train. A little out of the way but for the price the beds were comfortable and the showers were hot. The car park is terribly small, not only the small number of lots but also being unable to house bigger car. We have no choice but to park on street outside the hotel without any security. The staff serving attitude was poor, no smile and answered your questions impatiently. 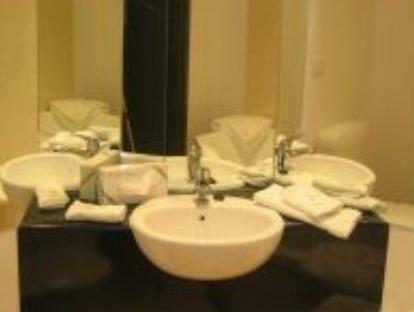 The hygienic condition in general is acceptable except the towels look a bit grey and water boiler is dirty. The location is yet rather convenient, just about 10 mins walk to queens Victoria's market or the Elizabeth street where you can find lots of restaurant and supermarket. Its a typical Asian style run hotel. Very basic rooms with reasonable nice beads but charges for anything and everything. Personal parking available but its pin tight space. I got my car scratched due to irresponsible quest parking and owner hardly helps in. But still its a good to have a free parking. Rooms are easy for kids. Tram about 500m walk incl free tram. Victoria market about 750m. Food shop about 750m. Nice exercise park about 500m. The staff. The bed. The location. I enjoyed my stay at the hotel. It was clean and the staff were great. The room was perfect and the bed so comfortable. The only minor issue was the noise outside the rooms from other travelers that at times disturbed us trying to sleep. I think people who stay there should be made to take phone calls in their own rooms or downstairs and to keep their voices at an acceptable level a consideration for people staying there. Strange arrangement - motel-style rooms off an open-air courtyard on the second level. But the rooms were comfortable and quite adequate. Like a plain, country motel. Decent coffee in the foyer. It's a couple of blocks from the nearest tram line, and further still from Southern Cross Station. (Flagstaff station closes outside peak hours). I'd be quite happy to stay there again if I couldn't get a reasonably-priced alternative in a more convenient location. 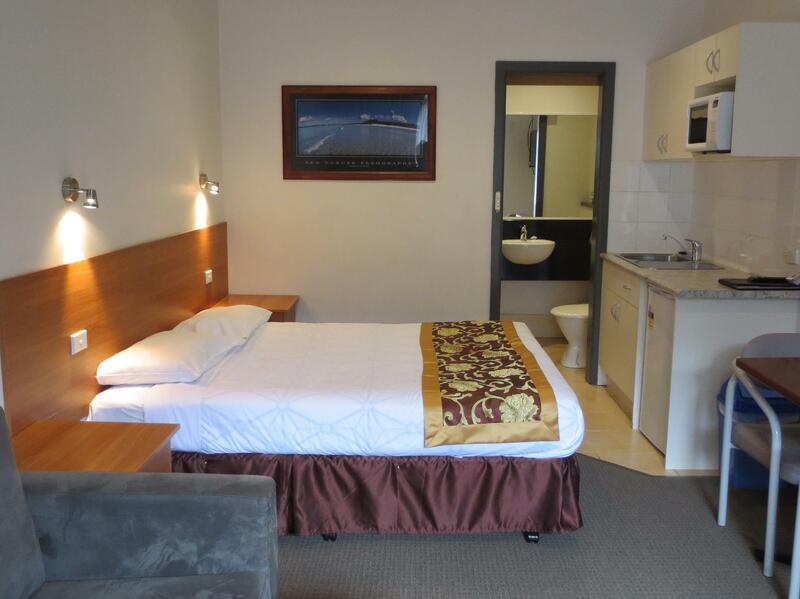 It is a basic accommodation, room is so-so but bathroom looks newly renovated and clean and shining. Walking distance to Victoria market and to La Trobe Street where you can take the free city train. Decent price for the location and free parking. It was a good stay. The hotel was very old. But I had a good size room. I was fortunate to have the last room in the corridor . But the rooms in the middle of the corridor were very noisy. I think with this price it is possible to find a better hotel. Staff is friendly and room is clean. The staff know Chinese, and they are very friendly and will answer your questions patiently. It is convinience to the bus stop of shuttle free bus. It is not very expensive and is a good place to sleep when you travel a day long outside.